Thursday, February 7 through Monday, February 11 from 11:00 a.m. until 7:00 p.m. Opening Reception: Saturday, February 9 from 5:00 p.m. until 7:00 p.m.
Japanese calligrapher KOKA will have her first solo exhibition at J-Collabo in Brooklyn. Based in New York and Tokyo, KOKA (real name: Hikaru Yamasaki) has thirteen years of experience in this Japanese traditional art form. She volunteers her time to teach the craft to children in New York. 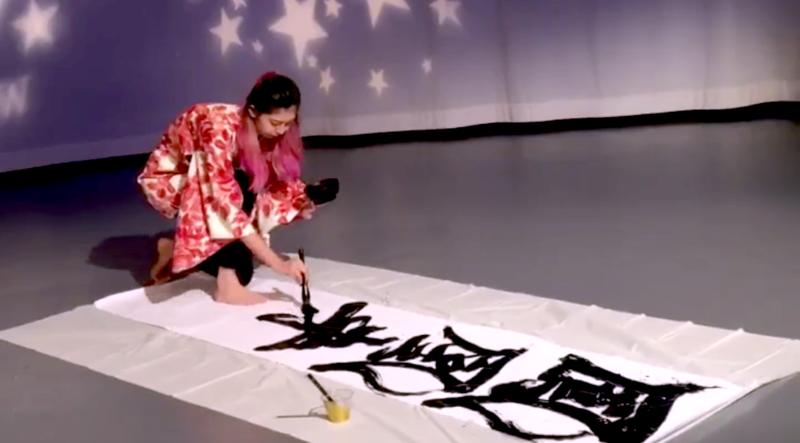 Her goal is to present the beauty of Japanese culture through calligraphy. For more information about KOKA, please visit her website and follow her Instagram feed. Twenty of her original artworks will be on display at J-Collabo. At the opening reception on Saturday, February 9, KOKA will perform live demonstrations at 5:30 p.m. and 6:15 p.m.
J-Collabo is a social network that fosters collaborations between artists of all genres with the common focus of Japanese culture. It hosts exhibitions and cultural activities and has a shop that sells products from Japan at its Park Slope location. Learn more about J-Collabo at its website and Facebook page. To register for KOKA’s opening reception, please visit J-Collabo’s Eventbrite page.